Mesh networking. You’ve probably heard of it. In fact, you’ve probably used it. If you’ve ever been in a mall, airport, or stadium with free Wi-Fi, you’ve encountered mesh networking. But should you get into it? Let’s take a look. Mesh networking is a form of Wi-Fi that’s designed to cover large areas, especially areas where there are walls and other obstructions. In a closed area like an office, a Wi-Fi signal will generally travel between ten and twenty feet in any direction. That may not be enough for you, and that’s where mesh networking comes in. Mesh networking uses both routers and access points, all working together automatically. Each router or access point is configured so that its signal doesn’t interfere with other signals on the network. As one signal gets weaker, another one takes over. 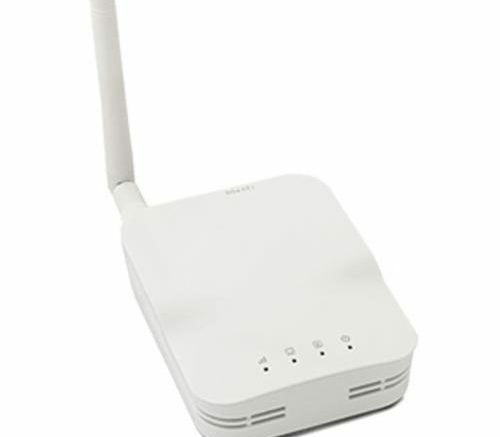 You jump from access point to access point without having to change the Wi-Fi network or re-enter credentials. Your phone thinks it’s on the same Wi-Fi all day long and you don’t notice anything but strong Wi-Fi wherever you go. This is done using equipment that is constantly aware of what’s around it. There’s also some pretty serious computer logic going on. In a lot of ways, a mesh network is like a mini-cellular network, with multiple sites offering smooth service as you walk around. How is mesh networking installed? In order to create a mesh network, you need to start with a wired network. Each access point plugs into that wired network. I know, it sounds weird, right? In order to have good Wi-Fi, you need to have wires there first. But, that’s how it works. Once all the access points and routers are installed, the system is started up and configured. Usually this is done through a web browser on a PC or mobile device. Most systems are very simple to set up and you just need to supply the name of the network and the password, plus some other very simple bits of information. From there, the system takes over, building a map of where coverage is good and bad. Where coverage is weak, those access points actually increase their power as much as possible. Where it’s strong, two access points near each other will reduce power just enough so that there’s no interference between them. Do you need a mesh network at home? Some companies think you do. Netgear and Eero sell systems that are designed to help avoid dead spots at home. They aren’t cheap, but they will help you get great Wi-Fi wherever you are. You put a series of access points in the home and their systems pretty much do the rest. The downside of this is that most people do not have wired ethernet throughout the home. That’s a problem. If you want to use one of those systems you need to do a lot of wiring. The alternative is to use something like a Wi-Fi extender (also called a Wi-Fi repeater.) This device creates a separate Wi-Fi network that you can connect to. If you have a business and want to provide Wi-Fi, you can do it with a mesh networking system. This would take the place of any Wi-Fi router you currently have and should be very easy for your IT department to install. What is the best option for mesh networking? Personally I recommend Open-Mesh products, which are available at Solid Signal. This is a pro-level solution that is easy enough for most home users to configure. You can buy just the parts you want and put them together. You can also add more devices as you need them and they all work together. Does it “really” make a difference what router you choose?